All COASTAL HOUSE COND DECL homes currently listed for sale in Delray Beach as of 04/21/2019 are shown below. You can change the search criteria at any time by pressing the 'Change Search' button below. 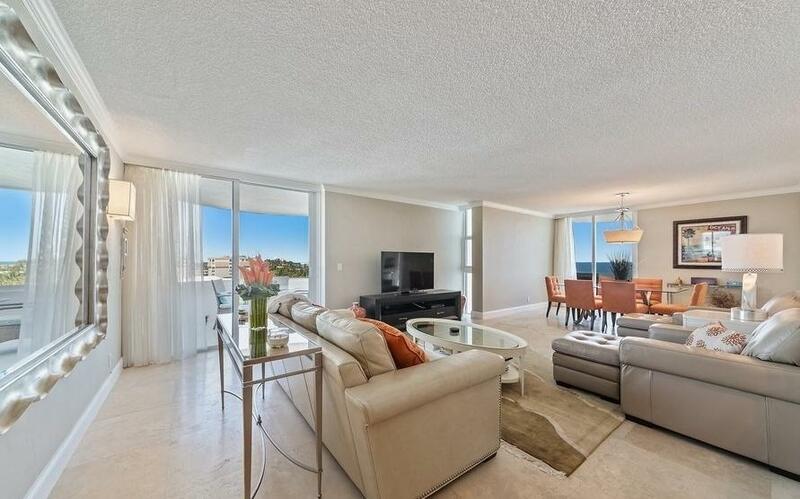 "This beautiful 9th floor residence has forever ocean views and gorgeous Intracoastal views! The expansive views from the 9th floor balcony are breathtaking! The kitchen has been partially updated with newer counters and wood cabinetry. There are marble floors in the common areas and carpet in the bedroom. The master suite bath has been completely renovated with sleek white cabinetry, custom tile work, white vessel sink, new hardware and glass enclosed shower. This residence is a must see!"